Will the renovation fit our families current and future needs? Is this design on the renovation universal? Will it appease future buyers if we consider selling the home? Does this renovation offer a good ROI? Can this renovation stand the test of time or is this trend one that will be outdated quickly? Kitchen remodeling can be quite the venture both in time and resources. It is crucial that when meeting with a contractor regarding your new kitchen design that you have a meeting of the minds regarding different elements that are incorporated. For a kitchen design to work over time it must be function while combing trendy elements with elements that have proven to “age” well. True professionals will be able to blend elements that allow you to have the kitchen of your dreams today that will easily integrate updates and trends that come and go within the next ten to twenty years. When planning your new kitchen consider adding in natural elements such as marble, hardwoods, brick, and stone. These are all components that make a design timeless and add to the aesthetic value of a space. These elements can be seen in kitchens and homes from the 70’s that can be used in current renovations without hassle in uniting them in the overall design. Consciences contractors will always take into consideration the placement of the kitchen within the home to maximize the amount of natural light within the space. Kitchens that are bright and well light always appear cleaner and more inviting. Natural lighting can be combined with light fixtures within the kitchen to accentuate the space to give the allusion of openness. An open kitchen concept is one that has been and will remain popular throughout time. In order to create a timeless design within your kitchen it is important to blend two elements: simplicity and function. Indoor plants have always been popular amongst homeowners. One way to incorporate this into the kitchen space in the form of an herb garden. This is a practical, functional way to bring greenery into the kitchen without it looking out of place. The key element when it comes to any renovation in your home is ease of use. Simplicity is always in style. Homeowners want a space to be functional, stylish, and comfortable. The best feeling ever as a homeowner is to have guests walk into your home and feel content being there. This is what contractors aim to do in all of the renovations that they have the privilege of being a part of. Homeowners want to renovate and remodel their homes, but some projects pay off more than others. According to the Leading Indicator of Remodeling Activity, overseen by the Remodeling Futures Program at the Joint Center for Housing Studies of Harvard University, home renovation spending increased 6.5% by the end of 2017 to $314 billion. With existing home prices increasing for more than four consecutive years and housing inventory still low, according to the National Association of Realtors, the Joint Center for housing studies predicts that remodeling will continue to increase 7.5% through 2018, to $339 billion. But just about all homeowners are still feeling a bit tentative about making renovations or taking out a home equity line of credit to pay for it. Though TD Bank finds that 55% of homeowners believe their home’s value has increased, only about 41% of homeowners surveyed at the Philly Home Show in January have ever taken out a HELOC to pay for one. Though market research firm Core Logic finds that U.S. home values increased by an average of $14,900 last year, just 51.5% would consider using a HELOC to renovate their homes. As of Dec. 15, 2017, interest from a HELOC is only tax-deductible if it’s used to improve a home, but homeowners have good reason to approach them cautiously. Many homeowners are still a bit stunned by the last housing crisis and remember all too well how many homeowners were stuck with “underwater” homes worth less than the mortgage on them. At the height of the U.S. housing crisis in 2012, according to ATTOM Data Solutions’ RealtyTrac, more than 12.8 million U.S. homeowners (29%) were seriously underwater. That number has fallen to 4.6 million (8.7% of all mortgaged properties), while the number of equity-rich homes (with at least 50% positive equity) has climbed to more than 14 million, or 26.4% of all mortgaged properties. Bathroom (32%): According to Remodeling Magazine’s Cost vs. Value Report, a mid-range bathroom remodel of $19,134 would return about 70% of its value upon sale of the house. Since people tend to be picky about their bathrooms, an upscale overhaul ($62,000) would only add about 56% of its value. However, a $16,000 bathroom redesign to make it more wheelchair accessible adds about 71% of its value to a home. Outdoor renovations (23%): TD Bank was thinking decks, patios and pools, and Remodeling Magazine loves the first two. A $54,000 patio adds 48% of its value to a house, while a $17,000 composite deck brings back 63.6%. Can’t afford more than a wooden deck? Don’t worry: About 83% of the $11,000 cost will find its way into your home’s sale price. Finished basement (15.5%): This didn’t make its way onto Remodeling Magazine’s Top 25 renovations, but those looking to make it into a bedroom and bathroom could recoup up to 57% of the costs. Adding granite or quartz countertops in the kitchen (3.8%): It’s a shame more people aren’t considering it, as Remodeling Magazine says making this project part of a $22,000 minor kitchen remodel would add more than $17,000 (81% of the cost) to the price of a home. If homeowners are looking for the best return on their renovation investment, however, they might want to consider a $1,471 steel entry door (91.3% return on investment), an $8,221 stone veneer for the house’s exterior (97.1%) or a $3,470 garage door replacement (98.3%). They may want to book a contractor sooner rather than later, though. 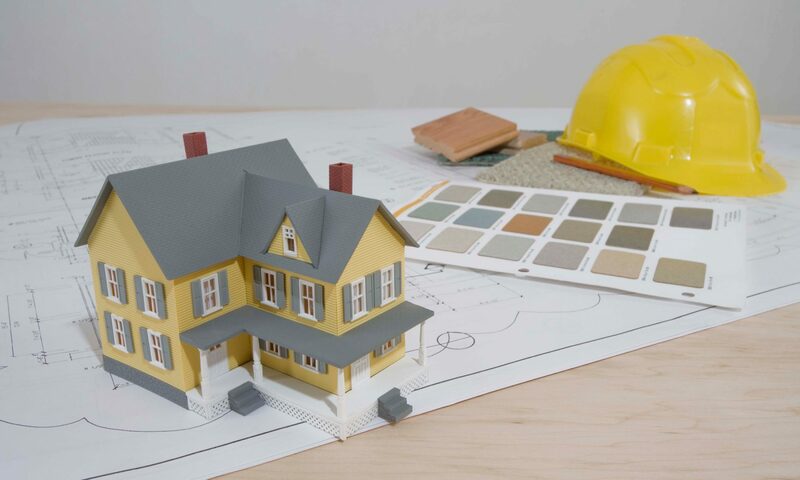 The HomeAdvisor Farnsworth index of home improvement professionals finds that while 78% of home improvement companies predict an increase in revenue this year thanks to homeowners taking on large projects, 58% have had a hard time finding skilled labor to do these jobs. “Despite continuing challenges of low for-sale housing inventories and contractor labor availability, 2018 could post the strongest gains for home remodeling in more than a decade,” says Abbe Will, research associate in the Remodeling Futures Program at the Joint Center. It appears that more and more homeowners are shifting the design perspective to hiring contractors that can handle the design and building all in one. Many problems can arise when homeowners have to communicate with two different professional parties, designers and contractors, so it is a special era of home construction when one contractor does it all. Designers often blame contractors when problems occur while contractors return the blame to designers when the job goes sideways. It is a better situation for homeowners to get the best contractor and designer for the job from the same spot. If you are building a new home or planning a renovation, the following list of the hottest upcoming bathroom design trends in 2018 should get your creativity going. Unique Bathroom Flooring Such As: Hexagon, Arabesque, Diamond, Moroccan Fish Scales, and Chevron Patterns in New Colors and Textures. One common thread has been evident in all home design trends for 2018; homeowners are looking for ways to break from the mold and be unique in their styling. In the bathroom and kitchen designs, they are relying on technology, tiles, and bold accents to make the home more interesting.